Which cultural programmes are conducted on the occasion of Republic Day? For how many days does Republic Day celebration last? Which programmes are conducted during the closing ceremony of Republic Day? Which cultural programmes are conducted on the occasion of Republic Day? For how many days does Republic Day celebration last? Which programmes are conducted during the closing ceremony of Republic Day? Suzane replied. Hi, I did not know that republic day of India is celebrated for three days. Thanks for the information. It is a lovely article. Hemangi replied. Celebration of this festival helps parents to encourage children to inherit Indian culture and Indian values. I always make it a point that I send children to school for celebrating this festival. After children come back from school, all of us sit together and watch the Republic day programme telecasted on the National Channel. Swati replied. Republic Day celebration is the day when we rejoice our culture and remember all the great legends because of whom we are enjoying independence today. Also it is a chance for all of to come together and celebrate this festival and remember that we are Indians first. Celebration of this festival also gives us a message that we are one and stand together for protecting our culture and our country. Reshma replied. Republic Day celebration reminds me of the great legend Dr.Babasaheb Ambedkar. He has authored the constitution of Indian. He was the great man. Without him we could not have enjoyed the democracy in India. This democratic system suits very well to India. I really salute Dr.Ambedkar for his work. Hi, I did not know that republic day of India is celebrated for three days. Thanks for the information. It is a lovely article. 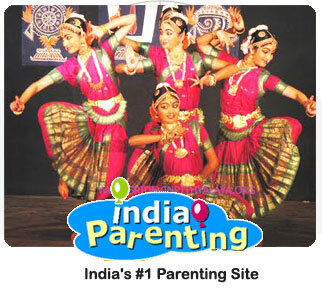 Celebration of this festival helps parents to encourage children to inherit Indian culture and Indian values. I always make it a point that I send children to school for celebrating this festival. After children come back from school, all of us sit together and watch the Republic day programme telecasted on the National Channel. Republic Day celebration is the day when we rejoice our culture and remember all the great legends because of whom we are enjoying independence today. Also it is a chance for all of to come together and celebrate this festival and remember that we are Indians first. Celebration of this festival also gives us a message that we are one and stand together for protecting our culture and our country. Republic Day celebration reminds me of the great legend Dr.Babasaheb Ambedkar. He has authored the constitution of Indian. He was the great man. Without him we could not have enjoyed the democracy in India. This democratic system suits very well to India. I really salute Dr.Ambedkar for his work.